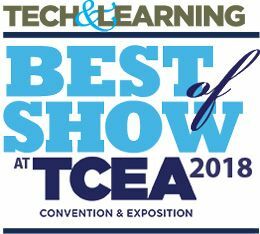 Tech & Learning announced the winners of the 2018 TCEA Best of Show Awards. Thanks to our team of advisors for sharing their time and expertise to explore the latest and greatest announcements from participating vendors. Click here to read more about the 2018 winners and here for more information about nominating your product for the 2019 contest (DEADLINE: January 26, 2019).